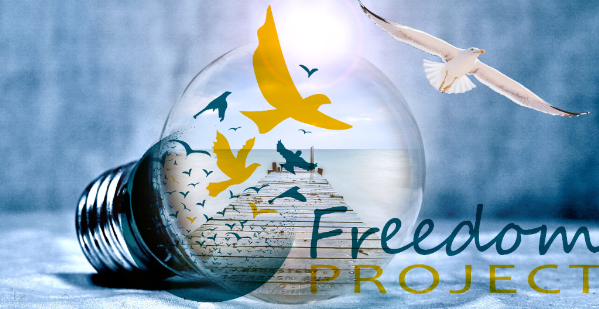 Freedom Project is launching its quarterly professional development series on Monday, May 19 with an in-service workshop facilitated by Tuere Sala, exploring the nature of trauma, with an emphasis on working with students who have spent time in prison. This workshop is designed for anyone working with people who have been incarcerated – either in prison or after their release back into the community. recognize the signs of trauma and plan the introduction of exercises, so that the risk of re-traumatizing students is minimized. become more aware of and work with challenging behaviors which may stem from traumatic experience. These behaviors may include arguing, fidgeting, or staring off into space. The program will be held 9 am-12 pm at Freedom Project’s office located at 5228 20th Ave NW, Seattle 98107. There is a $20 workshop participation fee. The program is FREE for Freedom Project volunteers with current DOC Badges. (Scholarships are available). This is the first in a series of professional development programs which Freedom Project plans to offer in 2014. The next program in the series is a full-day workshop facilitated by Kathleen Macferran on Friday, June 6 which covers the essentials of facilitating classes and workshops based on Nonviolent Communication. Space in both programs is limited, so confirm your reservation as soon as possible. To register (or for further information) about either of these programs, send an email to SeattleFreedomProject@gmail.com with your name, phone number and the date of the program that interests you. You can also call 206-325-5678 and leave a voicemail message or talk directly to Registrar Tim Conbere weekdays between 8 and 11 am.